If you are looking for some aerial inspiration to travel to island, this video by contributor Huettehuette will do the trick. 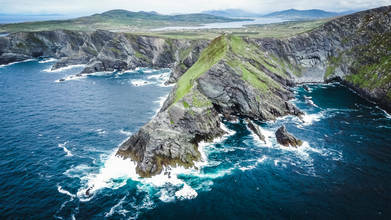 He spent two weeks on the Emerald Isle with a motorcycle and a DJI Mavic Pro drone. The video he created to memorialize the trip will give you a breathtaking view of the sights and sounds of modern Ireland. You'll see iconic forests, spectacular coastal rock formations, lively villages, mossy valleys, and gorgeous streams and waterfalls. Description: Spend two weeks in this beautiful country with my DJI Mavic.